Jack Fairfax is the nineteen-year-old second son of Lord and Lady Fairfax. The Fairfaxes are steeped in the military tradition, and don’t approve of Jack joining the Royal Flying Corps. New-fangled flying machines are nothing to do with ‘proper’ warfare. But Jack won’t be deterred. 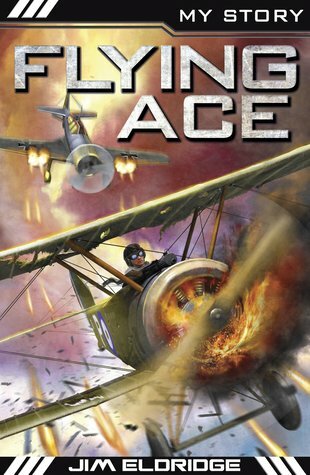 He takes to the skies in his Bleriot plane, and faces German ace pilots over the Somme. Bullets zinging, fierce fighting; on a wing and a prayer, can he stay alive in a contraption made of little more than paper and piano wire?